Nikita Zakharov, Maxim Mokrousov, Kirill Antyukh and Vasily Kondratenko (Russia) at the finish of a heat during the four man bob event at the Bobsleigh World Cup 8 in Sochi, Feb. 15. 2015. Championships were to be held in Sochi in February 2017. The Russian Bobsleigh Federation accepts the decision of the International Bobsleigh and Skeleton Federation to move the 2017 world championships to a different country, a press release said on Dec. 13. The championships were to be held in Sochi on Feb. 13-26, 2017. "We’re compelled to accept the IBSF decision to move the championships from Russia to a different country," the press release said. "Given the situation as it is, the IBSF found itself in the face of a possible split in the sport and a mass boycott of the competitions." "Circumstances like these ones rule out good decisions and therefore our counterparts had to choose the smaller of the two evils," the federation said. "We realize that it is still possible somehow to hold competitions in a dignified manner in the current circumstances, which we did not perpetrate in any way, but it is impossible to organize a real feast of sports, and a world championship should really be one," it said. "We are prepared to make this sacrifice for the sake of maintaining cooperation and unity in our sport," the federation said. "We hope for understanding on the part of our counterparts and competitors." Earlier on Dec. 13, the IBSF said it had taken a decision to move the championships from Sochi to a different venue. "The IBSF Executive Committee felt that during this difficult time it is prudent not to organize such an event in Russia," it said in a press release. "This decision was made for two primary reasons," the press release said: " First: to allow athletes and coaches from all Nations to participate in a competition that focuses on sport rather than accusations and discussions - whether justified or not." "Second: The Russian Bobsleigh Federation has put a great effort in the preparation of the World Championships, but the current climate would make it nearly impossible to appreciate the efforts of the Organizing Committee to host a great event or the quality of the Sanki Sliding Center as one of the best tracks in the World," the statement said. Kremlin spokesman Dmitry Peskov called the IBSF move "a highly politicized decision". "It is based on the allegations that simply don't have a real basis under them," he told RT channel. 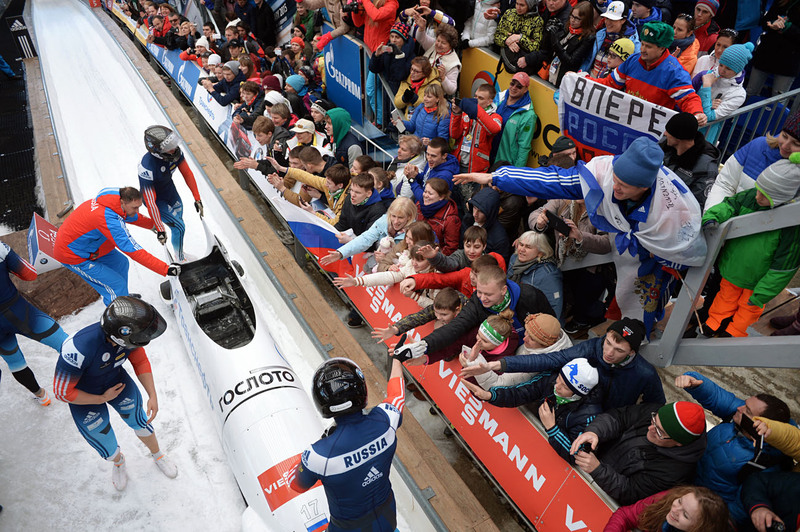 In the meantime, the deputy of Russia's State Duma, Dmitry Svishchev, who was a senior sports official at a certain stage in his career, called on the Russian Bobsleigh Federation to defend Russia's interests in the courtroom. He indicated that it was senseless to argue with the decision or to raise any debates around it, "because this international federation hands out the rights to organizing the championships."